When residents of Omaha, Nebraska, want outstanding sunrooms for their home, they turn to the company that has been providing sunroom additions of superior quality for decades – ABC Seamless. Our high-quality sunrooms can turn any patio, deck, or porch into a stunningly beautiful living area where you can connect with Mother Nature winter, spring, summer, or fall without having to face extreme temperatures, heavy rain or snow, or pesky insects. The sunrooms we install for Omaha homeowners are manufactured by TEMO, a leading manufacturer in the sunroom industry. Additionally, we provide a transferable lifetime warranty that covers the roofing, polymer wall panels, weather stripping, aluminum frames, and other components of the sunrooms we install in Omaha. As a sunroom contractor that offers exceptional products and outstanding customer service, it’s no wonder we have earned an A+ rating from the Better Business Bureau and a Top 500 rating from Qualified Remodeler. 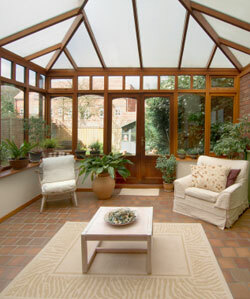 For more information on our sunrooms for Omaha, contact ABC Seamless today. We will gladly provide a free quote on our sunrooms or any of the other home improvement products that we install, including garden arbors, patio covers, pergolas, siding, soffits and fascia, gutters, replacement windows, roofing, and much more.